Since its beginning, the Museum of Contemporary Art, Jacksonville changed and enriched the life of Northeast Florida because it provided excellence in visual arts. MOCA Jacksonville is dedicated to preserving, collecting and interpreting the most notable works of contemporary and modern art; therefore, they present an exhibition on local, regional, national and international significance. The Jacksonville Fine Arts Society was founded in 1924 as the first organization in Jacksonville that was devoted to Visual Arts. In 1948, a Museum was incorporated with the Jacksonville Art Museum, and it became the first institution in Jacksonville that was credited by the American Association of Museums. At the end of the 20th century, the Museum found its permanent home, in the place where Western Union Telegraph Building was before and became the Jacksonville Museum of Modern Art. The exterior was in Art Deco style while the interior changed its appearance and became one of the most prominent museums in the USA. 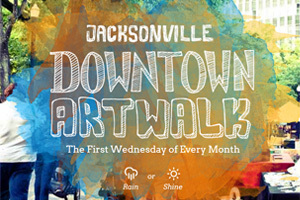 Next Event Wednesday, November 1, 2017 // 5 p.m. – 9 p.m.
You must know about First Wednesday Art Walk which is a free event that features more than forty venues and displays different visual artists. The anchor site is in MOCA Jacksonville where there will be special guests and always a surprise that you might be interested in. There are always a few surprises with MOCA Jacksonville. It is free and open to the public. 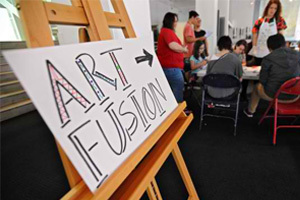 Next Event Wednesday, November 1, 2017 // 5 p.m. – 8 p.m.
Art Fusion is an event that provides an inspiring and creative environment for children who can work with their parents. Professional art educators lead it, and the primary mission is to enrich the creative minds of the children by giving them different projects that will end up in exhibition or Permanent Collection. Next Event Saturday, November 4, 2017 // 11 a.m. – 5 p.m.
You can expect that this particular event will definitely change your perspective. It is widely recognized as an event that happens on a monthly basis. 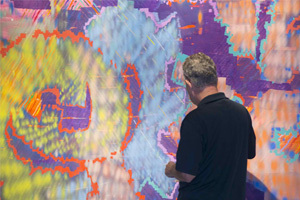 Merrill Lynch and Bank of America will create their ideas in visual arts. Sunday, November 5, 2017 // 12 p.m. – 3 p.m. 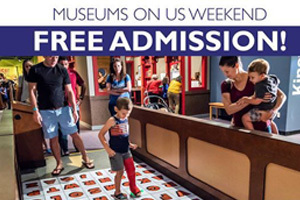 If you want to enjoy an exhibition with your family that is outdoors on the first Sunday of each month, you just have to register. Professional art educators will show you in Hemming Park, the possibility to understand hands-on-art-making projects that should be inspired by the works in a Museum. It doesn’t matter if you want to play checkers or giant chess, listen to live music or explore the Imagination Playground because, in Hemming Park, you can enjoy all you want. Most importantly, your children will have a combination of education and fun. All the children who take part in Hemming Part will be able to visit the gallery whenever they want for free.